Last month we brought you the first of a stunning collection of reMixes of the new single from SynthPop legends Erasure Make It Wonderful. Bright Light Bright Light turned in his 90s House take on the tune, now it’s time to unveil Chillwave master Chad Valley’s enveloping re-working of Make it Wonderful. The single finally sees release at the end of the month. As a warm blanket of synths, Chad Valley’s reMix delivers a warbling array of sparking sounds. Uplifting arpeggios and reverb washed drums curl around Andy Bell’s voice like smoke as it dips in and out to make space for spacious chiming leads. 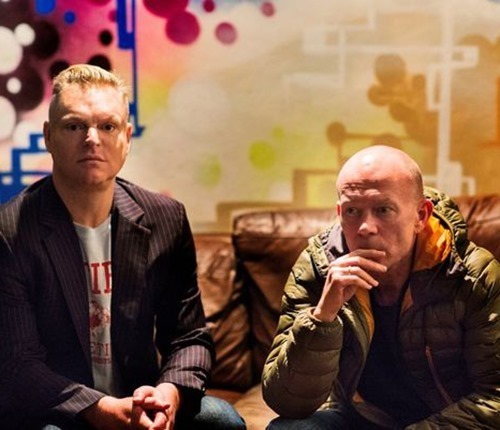 With enough of an 80s feel to seem fitting for an Erasure reMix, but not so much it dominates the sound of the track, Chad Valley had served up the perfect compliment to the more frantic versions of the track. Erasure’s Make It Wonderful is out 24th February on Mute.